National Geographic photographer Ciril Jazbec was in town capturing the tech entrepreneur feel of Nairobi and surrounds. I’m about a week late on my post, but thought I’d round up some of the news from the crazy week that ended with the Global Entrepreneurship Summit (GES) in Nairobi. With US President Barrack Obama in town, bringing some of the biggest names in tech and business with him, it was bound to be a circus. We embraced the madness at the iHub and there were a great many events. Pivot East (our big startup pitching event for East Africa) winners were announced (more here), and it was made into a TV show by DSTV. 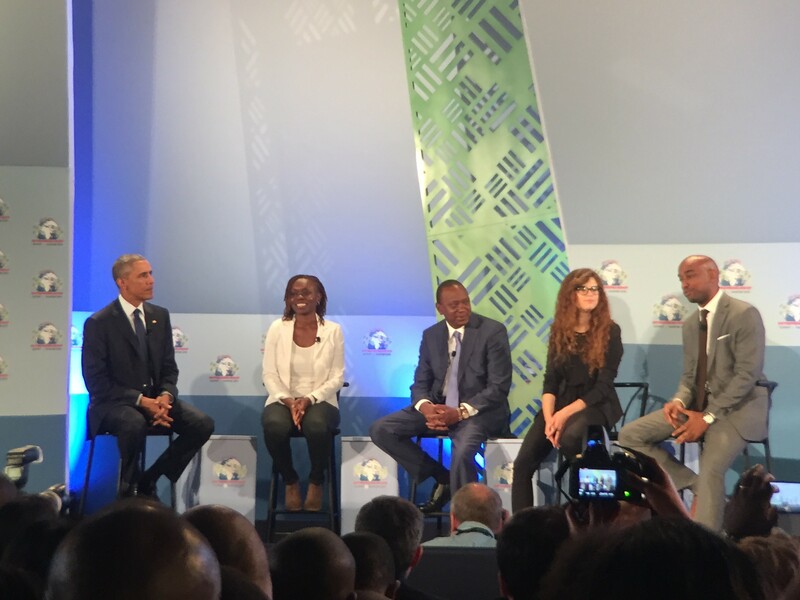 One of the highlights for the week was seeing our very own Judith Owigar, co-founder of Akirachix and long-time iHub member, up on stage seated between President’s Uhuru and Obama on the main GES stage. Bloomberg came by and did a photo walkthrough of the iHub, featuring Ushahidi and BRCK as well. 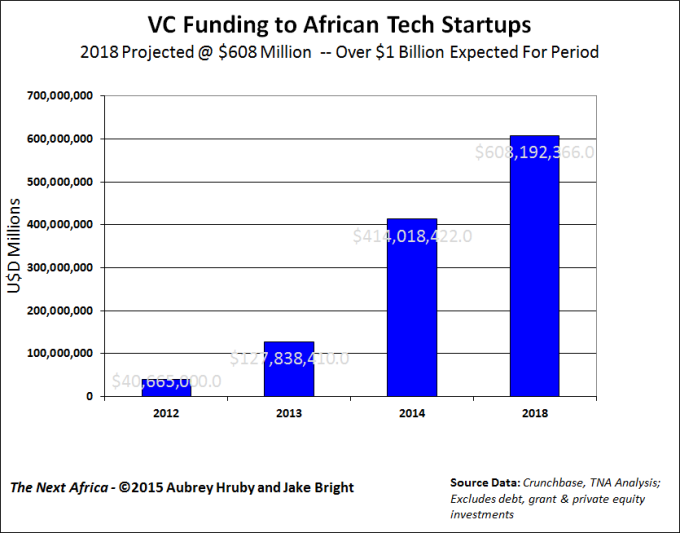 A timely piece on TechCrunch titled, “The Rise Of Silicon Savannah And Africa’s Tech Movement” came out. 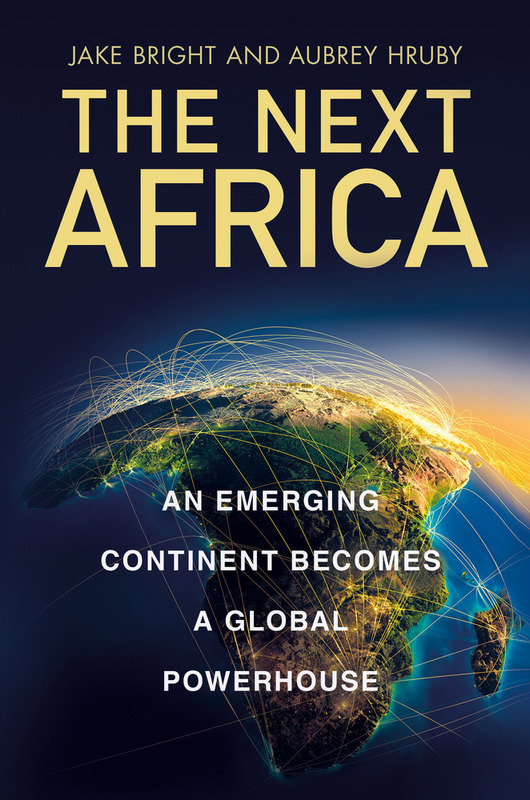 The Next Africa book launched, written by Aubrey Hruby and Jake Bright, we had a session at the iHub to talk through it with some of the subjects, like Just A Band, Dr. Bitange Ndemo and IBM. We did a Fireside Chat with Brian Chesky, co-founder and CEO of AirBnB, that was one of the best we’ve had. 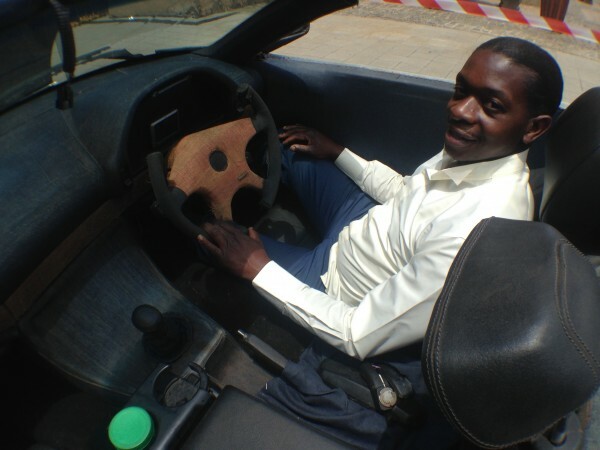 A piece in Forbes, “Why Kenyan Tech Entrepreneurs Deserve All Obama’s Praise“. IBM partnered with the iHub to launch the innovation @ iHub space, so we’ll be working a lot closer with them going forward and that means members of the iHub community will get a lot more access to IBM, its partners and its resources. 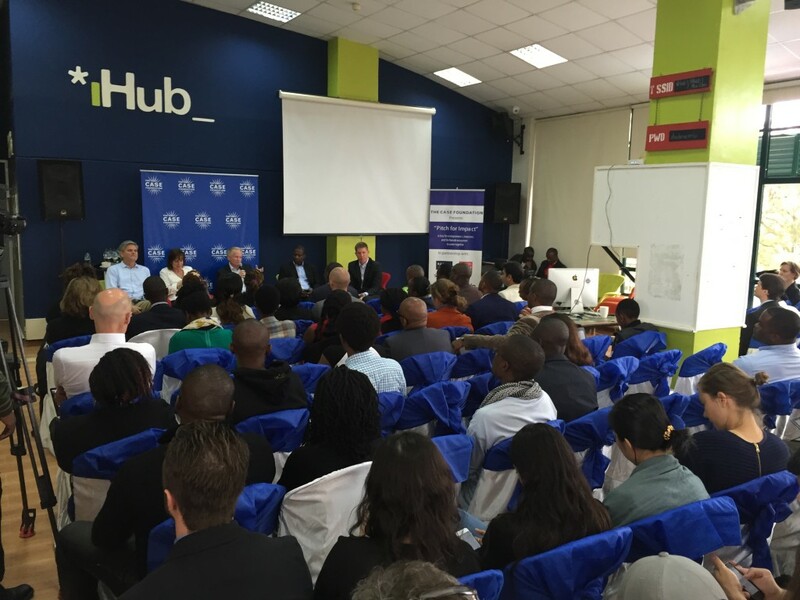 Jean and Steve Case, AOL Founders and investors, came to the iHub and ran a social impact tech pitching competition. They brought with them other investors, including Jim Sorenson, and Nina Tellegen CEO of the DOEN Foundation. Here’s Jean’s writeup on the week. Finally, the US Gov’t made a lot of commitments to African entrepreneurs. While it was a big week, and it served to remind us how far we’ve come and a chance to celebrate it with the world, we still have a long way to go. 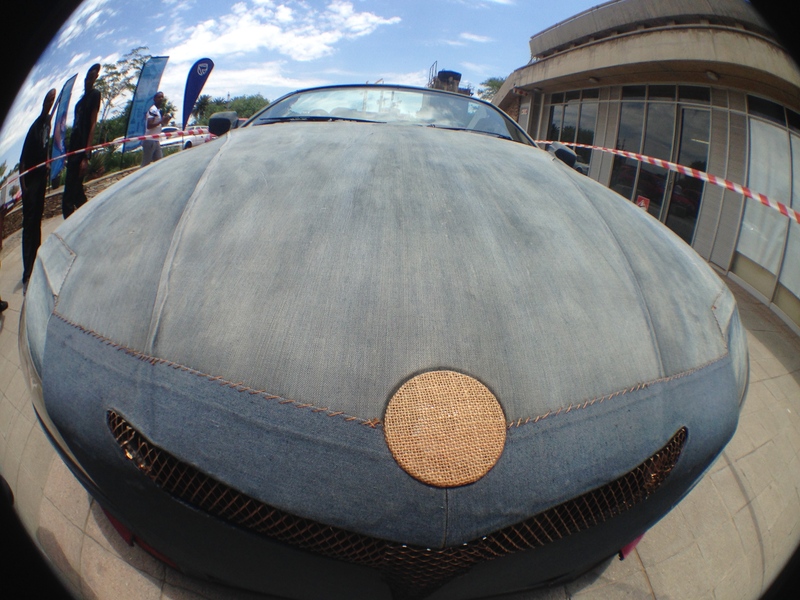 One of the most ambitions items at Maker Faire Africa this year in Johannesburg, South Africa is Samuel Ngobeni’s “art car”. 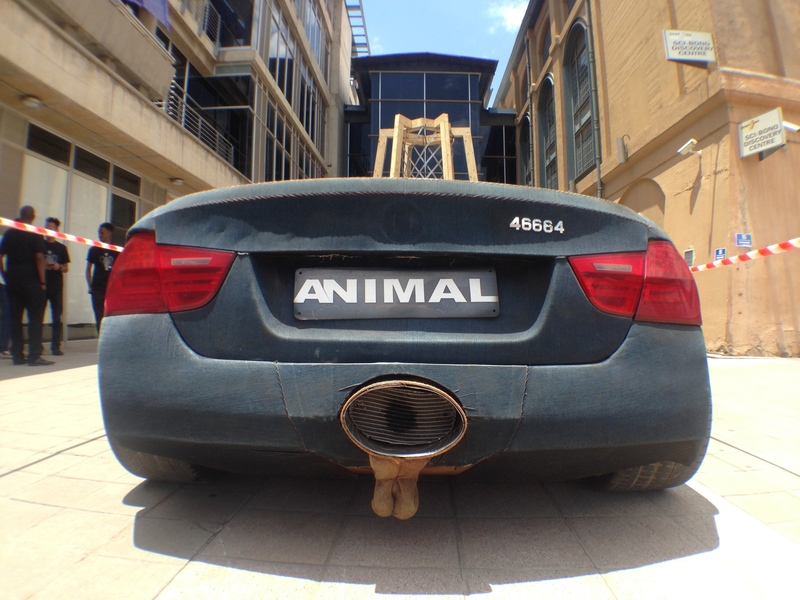 He’s a designer from Germinston, who has spent the last three years building his ANIMAL car, from the ground up, that means the frame and all. It’s a work in progress, though starting in 2011, it’s not quite done yet. 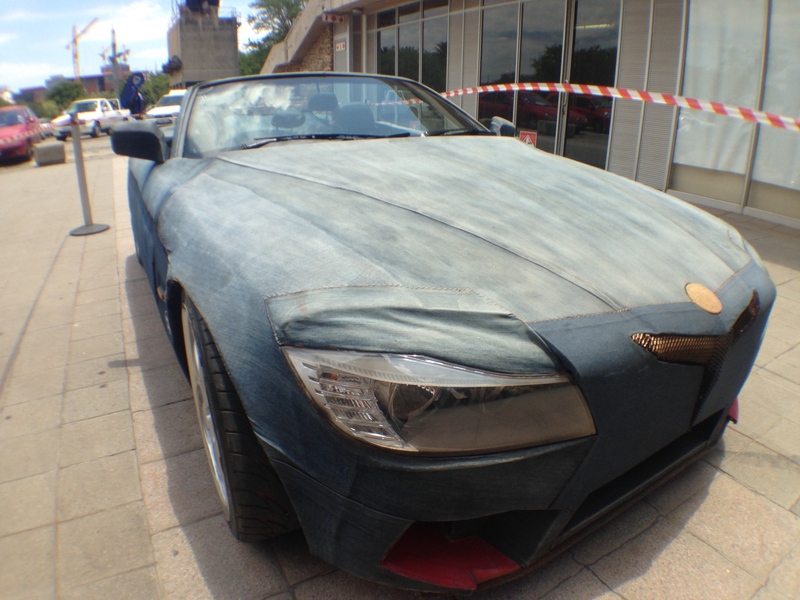 At first glance, from afar, it looks a bit like a BMW shape, but when you get close you can tell just how much customization and work went into it. 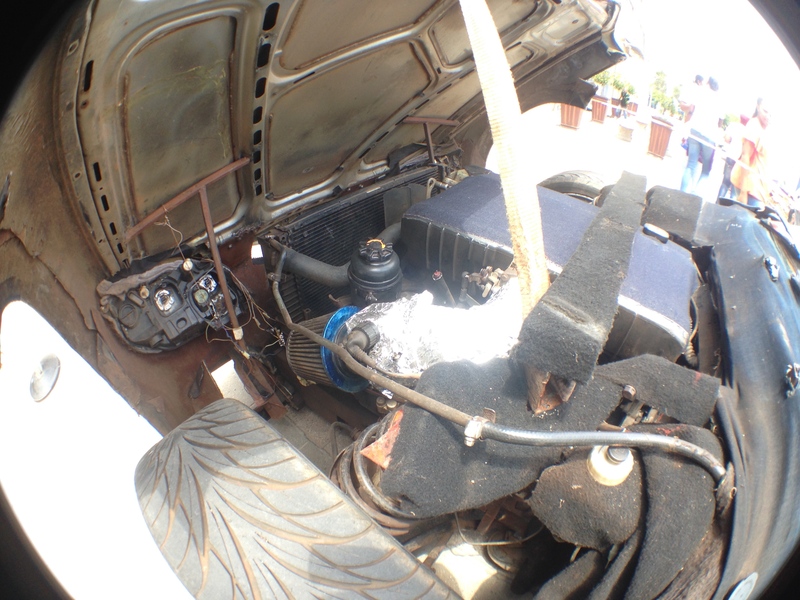 Then, when he opens the hood and shows you underneath, you can see that he actually hand-built the whole thing with steel piping and sheet metal, by hand. It’s running a 3 liter, straight 6 cylinder engine, has suicide doors and leather seats. 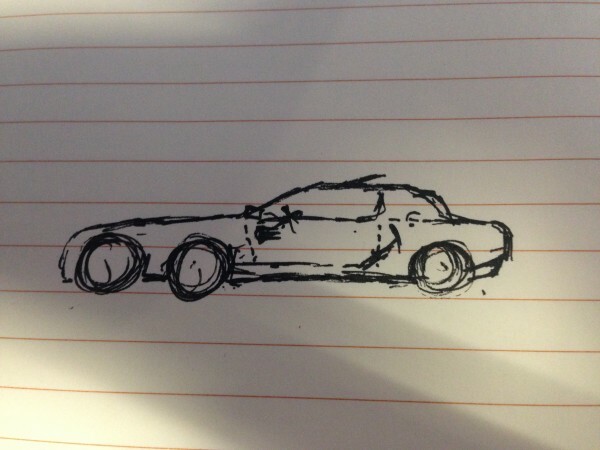 Samuel’s next big idea is to find a v8 or v12 engine, slap that inside a custom built 6-wheel vehicle (4 in front, 2 in back) and then skin it all in croc-skin. His denim ANIMAL is already pretty slick, so his next car can only get better, and it sounds like it’ll be a lot more powerful and meaner too! It’s difficult for designers like Samuel to get far on their own. He’s looking for someone who can take him to the next level. We’re setting up an email address for him now, but you can reach him on WhatsApp at 0822 110122 for now. 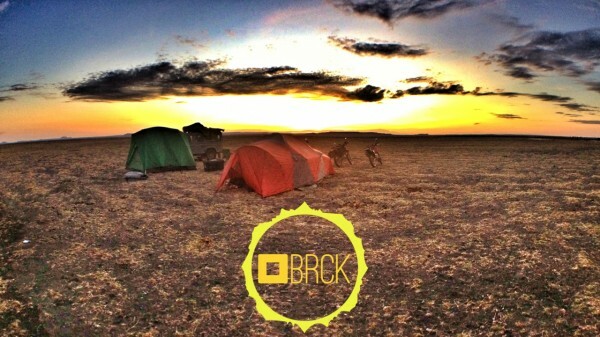 Two days from now we begin a BRCK overland expedition to South Africa. Like any of our trips, it is meant to be fun and adventurous, while at the same time giving us the opportunity to stress test our product beyond the norm. In the vein of our past expeditions to Turkana and the Nile, this one is on the edge. 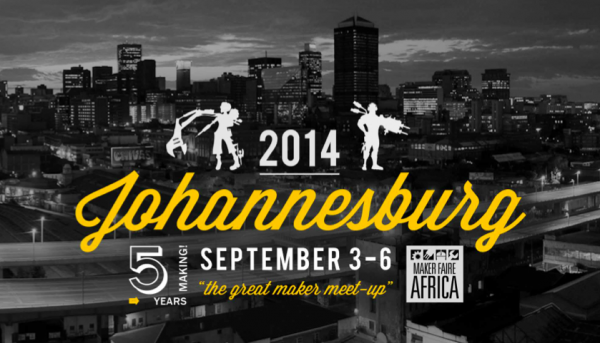 We’re taking 3 motorcycles and a Land Rover from Nairobi to Johannesburg in time for Maker Faire Africa on Dec 3-6. If you do the math, you’ll realize this is more of a mad dash south in time for the event, covering 4,400km in 9 days. 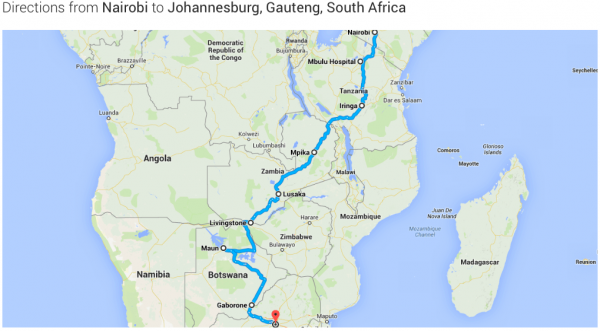 Here’s what the route south looks like, from Kenya through Tanzania, Zambia, Botswana and into South Africa. The journey north takes us through Zimbabwe, Mozambique, Malawi, Tanzania and back to Kenya, which we’ll take a little slower. We do have plans for a day off along the way. We’ll be stopping to visit our friends in the Zambian tech community in Lusaka. The Bongohive has been kind enough to host us, and we’ll be hanging out there, doing BRCK demos for techies and businesses, and I’ll give the keynote that evening for the beginning of Lusaka’s Startup Weekend. Gearbox, our new prototyping and making initiative in Kenya, is a supporter of this year’s MFA too, so I’ll be able to speak to that and will have one of the Gearbox team with us at the event. On the way back North we’re stopping in Harare, Zimbabwe to meet up with the tech community there. We’ll largely spend our time around the Hypercube, though plans are underway to get together with members of multiple tech spaces. 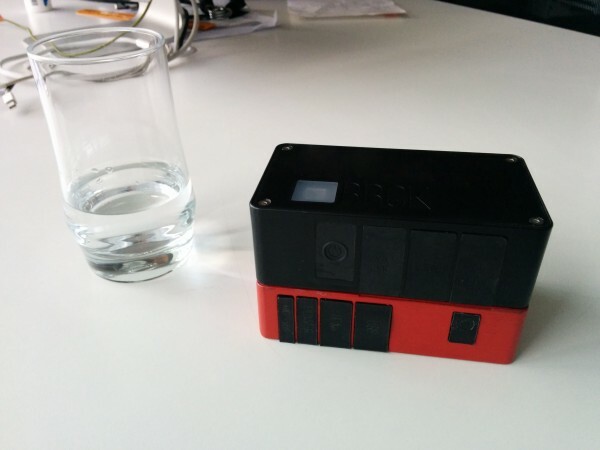 BRCKpi – this is our RaspberryPi + BRCK device – it’s an add-on to the BRCK (we call those MRTR, as in “bricks and mortar”). We launched it last month with Mozilla in London, and are targeting it primarily at schools and clinics in Africa. However, we know there are a lot of other use cases for it, and one of those will be as a media server for our images and video on this trip. Real off-grid, portable internet in Africa. Satcoms – we’ve been thinking a lot about how we can extend the BRCK beyond the edges of the network, so that it’s the one internet device that’s smart enough to pick the right connectivity type depending on what it can sniff around it. To that end, we’ve been having great conversations with Inmarsat and we’re testing out their newest product, the iSavi (not even on the market yet, first one in Africa). Internet speeds are comparable to cellular networks at up to 384 Kbps down, and 240 Kbps up. It’s much smaller and more portable than a BGAN, so we’re excited to pair it up with the BRCK, stress test it and see how it goes off-grid. Antennas – We’ve tested some of Poynting’s antennas before, and they’re some of the best we’ve ever found. 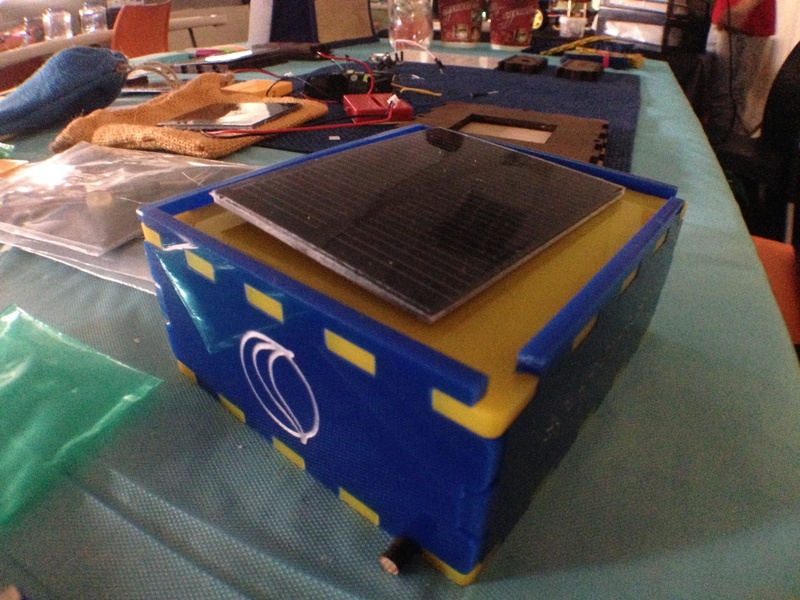 This time around we’re testing their mobile units, paired with amplifiers which we built into the vehicle, in order to see if we can create quick, deployable units at the edge of the grid. Of course, Poynting is a South African company too, and as one of our partners, we’re going looking forward to seeing them in-person for the first time in Johannesburg. 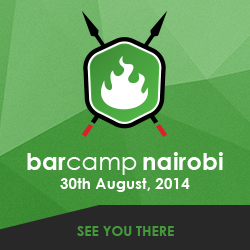 Barcamp Nairobi 2014 is set to begin, seven years after the first one was held. It’s one of those events that brings people out of the woodwork around the city, where techies who don’t normally meet end up having great conversations, and relationships are formed. This Saturday, Aug 30th at 08:00, your chance to lead a conversation on something interesting begins. 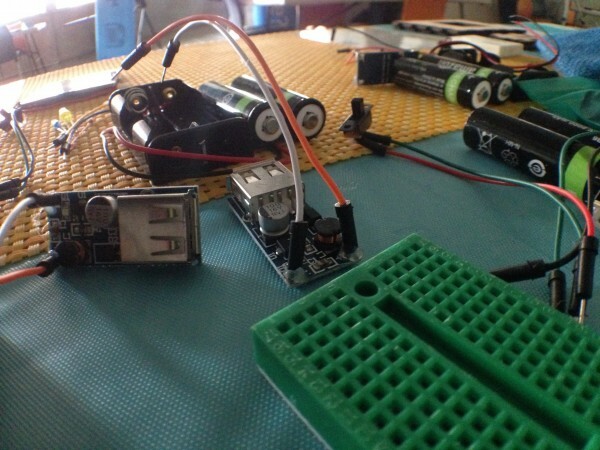 Nailab and iHub are hosting it, and we’re expecting 400 people to show up for the event. Go register now, if you haven’t already, it’s free. It was while sitting around after Barcamp Nairobi 2008 that the seed for what would become the iHub was planted, and why this post was written (many old blog posts from 2008 here). 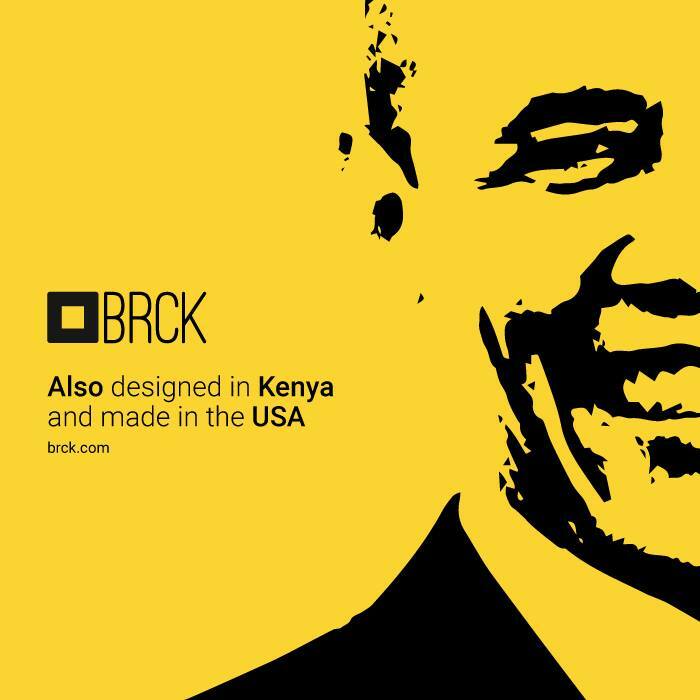 Many of the people I work with today on the teams at BRCK and Ushahidi were at these same events over the years. You’re the one who decides what the discussion will be, and we’ve seen everything from “how to make yoghurt” to “Python 101” to “blogging for women” conversations (and everything in between). This year, there’s bound to be some discussions around government surveillance and personal privacy in Kenya. We entrust our most sensitive, private, and important information to private technology companies. At the same time the increasing usage of technology has attracted the attention of authorities eager to provide caveats on the openness of the Internet and the range of freedoms, which we enjoy online. 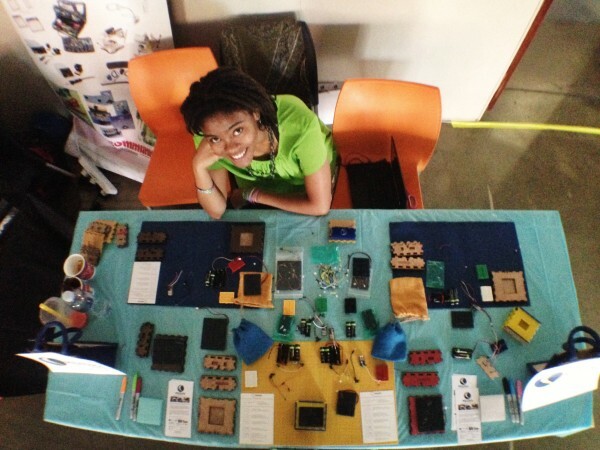 Maker Faire Africa was first held in Ghana in 2009, then Kenya 2010, Egypt 2011, Nigeria 2012 and now in South Africa 2014. 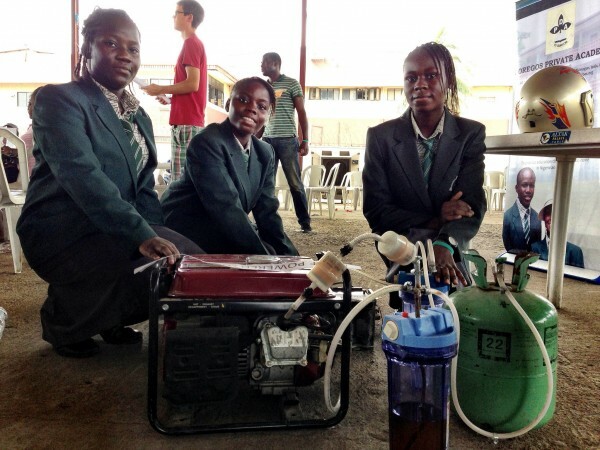 It’s been an amazing thing to be a part of, and the best is to be there and see the local ingenuity, the practical inventions that are made by some of the smartest and scrappiest people in Africa. Makers from across Africa will join ZA Makers for 4-days of meet-ups, mash-ups, workshops, and seed-starting ideas for new collaborations in open innovation across the continent. 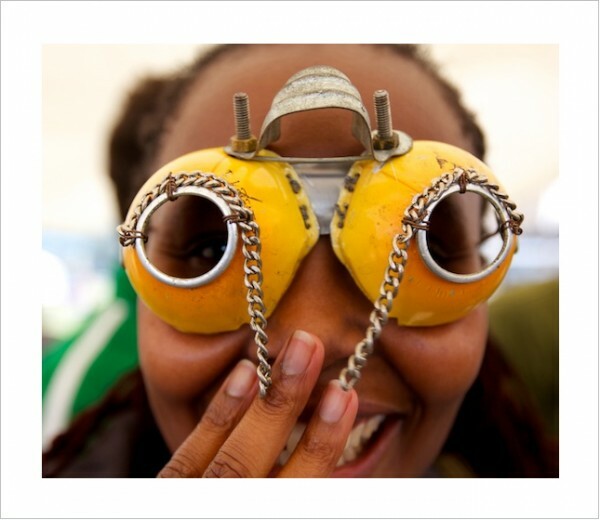 Maker Faire Africa 2014 will bring together over 5,000 attendees, along with featured inventors, world-class makers, self-made entrepreneurs & workshop experts from South Africa, across the continent, and around the world, to manufacture real solutions for some of Africa’s most pressing challenges & opportunities in the areas of agriculture, health, education, power, and more. 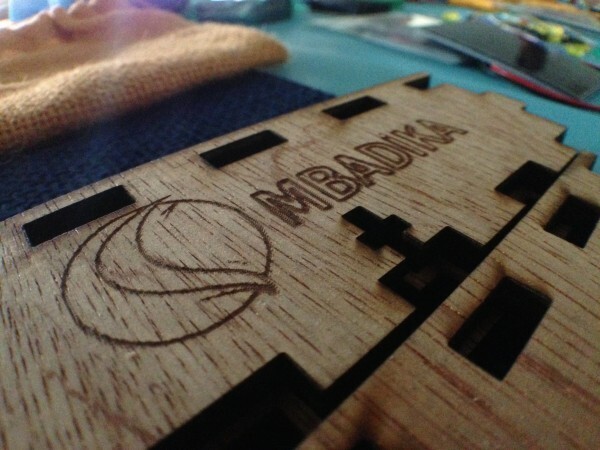 Whether your interest lies in technology, engineering, science, humanities, design or fabrication, you’ll find the best grouping of enthusiastic hardware innovators at MFA 2014. 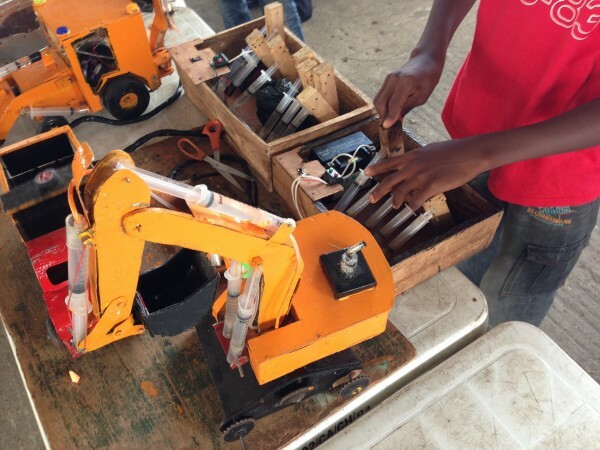 At the heart of the Maker Faire Africa Community experience is our Pop-Up Maker Space – facilitated through a collaboration between local hackerspaces & volunteers and visiting world-class makers. 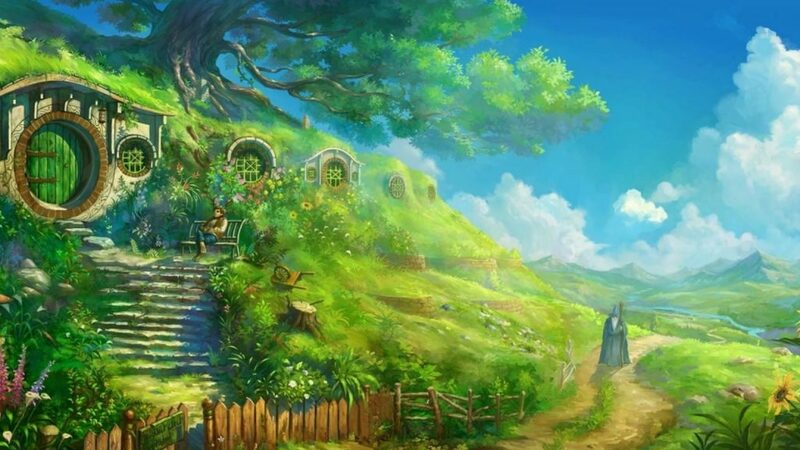 Open the full length of the faire, it caters to all ages, skill levels, and interests. Visitors can organize their own impromptu maker projects using available tools & supplies, attend demonstrations such as 3D-Printing Indigenous Patterns, Light Up Your Gele, or Strawberry DNA Extraction, or participate in supervised workshops such as Learn to Solder, Solar Energy for Personal Power, Microelectronics 101 or AfriRobotics for Beginners. MFA is structured to encourage visitors to actively make, not just observe. 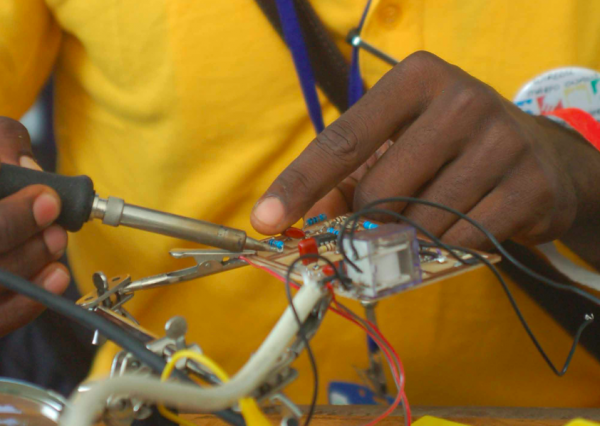 We integrate students and professionals alongside informal inventors in a way not happening elsewhere across Africa. Kevin Starr is a good friend and someone I respect a great deal. He’s a surfer, doctor turned investor focused on impact over monetary returns. He’s got one of the best heads in the business, and I tend to agree with most of his assessments. There is way too much emphasis on innovation and not nearly enough on implementation. If you’ve read his article (please do), then you’ll notice that I agree with Kevin on every salient point he makes. Where we disagree is due to the blinders that come with Kevin’s position, an omission due to perspective, not intellect or experience. Why then are prizes worth it? Simply because prizes serve as a filtering mechanism for new, young and unknown startups to be found. A method for recognition when a voice is too small to be heard. It’s hard for people with money to understand this. It’s hard for companies that have had some success to remember it. When you’re brand new, have a prototype and just a small bit of penetration with your new idea or product, it is extremely hard to be taken seriously or to get noticed. Being at the award event gets you in front of people. Winning it helps validate the concept and people with money start taking you more seriously. This outlook comes from my own experience. 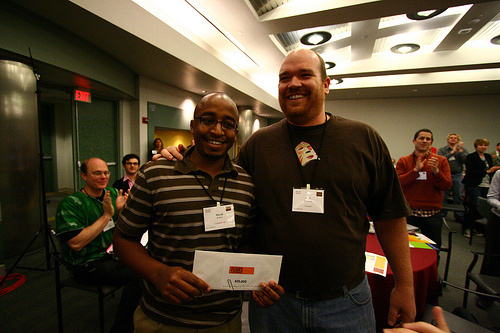 As Ushahidi, way back in the early days of 2008, we were part of the NetSquared Challenge, where David and I walked onto a stage and pitched Ushahidi for a whopping 2 minutes (crazy short!). A day later we walked out with $25,000 – which allowed the newly formed organization to become a reality. It tided us over until we received real funding from Humanity United 3 months later. Contention: I remember, when Ushahidi was just 8 months old, winning a prize. This was the last prize we ever applied to be a part of, as I realized that it was only $10,000 and that the cost of the award ceremony alone was more than all the prizes added together. Opinion: When an organization gets the initial recognition and wins a prize or two, they should remove themselves from that world of smaller prizes. Applying (and even winning) a bunch of small awards takes time and energy, and it has decreasing value over time – both for recognition and for bottom-line value. I’m a motorcycle guy, so anytime you put a motor on a chassis with something less than four wheels, then I’m interested. This week I’m at Maker Faire Africa in Lagos, Nigeria. 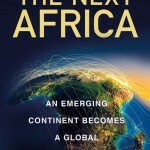 This is the 4th installment, after Ghana 2009, Kenya 2010 and Egypt 2011. The creation below is by a young man called “STA”, who’s got a lot of swagger and a double teardrop tattoo under his right eye. In many ways STA is a one-of-a-kind character, unlike anyone else I ran into in Lagos. STA spent about 4 years in Holland where he was inspired by custom motorcycles and trikes (tricycles). When he came back to Nigeria he decided he could build his own here. STA International’s first bike is the long-forked trike. 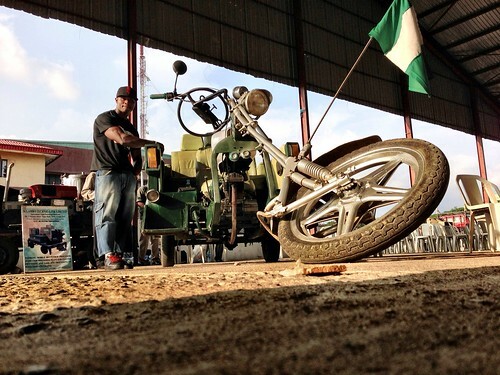 Due to using his own funds, it’s a little underpowered with only a 250cc engine and a 10 liter tank. STA scrounged around and found the different parts, and put it all together himself. 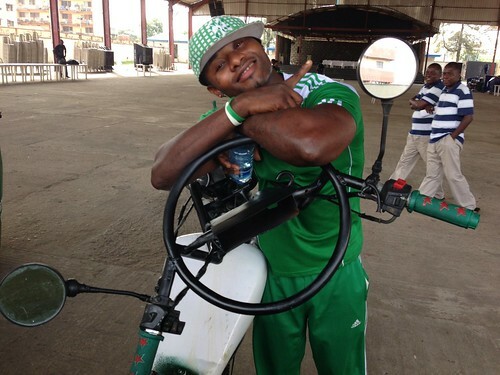 All total, he spent 300,000 Naira ($1,600) on it. The bike has some very comfortable seating, a nice big sound system, 4 big silencers in the rear and drink holders for both driver and passengers. He can carry two passengers in the back, and there’s room under the seats for a little storage. The bike is kickstarted, which I wasn’t expecting at first as I’m used to bikes this big having an electrical starter. Makes sense though, as this is a small engine bought off of a used engine reseller. 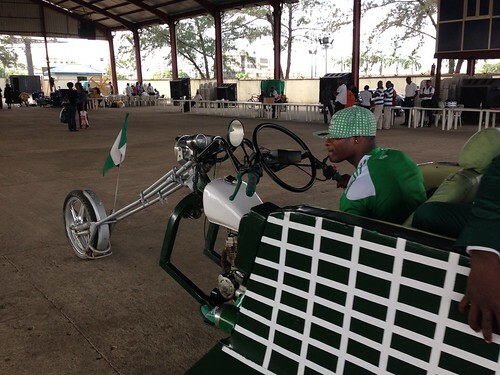 The trike also has a reverse gear, which comes in handy when the bike is as long as this one is, for maneuvering out of difficult spaces. STA and I hung out a bit over the last few days. He’s got a real passion for modding bikes, and his next big plans include an even bigger trike, though he hasn’t fully fleshed out the design yet. I showed him some of the cool, retro, modded designs on Bike Exif and we talked a while about what a custom bike for African cities might actually look like. Note: I’ve been blogging most of this on the Maker Faire Africa blog, so go there to find more posts on the stories from Lagos, Nigeria and the innovative and fun products made there. There’s a Ghana email list of tech guys that I’m on. Opening my email this morning, I was pleasantly surprised to see that a Ghanaian team was pitching last night at TechCrunch Disrupt. Robert’s pitch revolves around the 5.8 billion NON-smartphones in the world, and how that market has needs that need to be addressed by apps like their own. Ways to communicate via SMS in a much more elegant way. 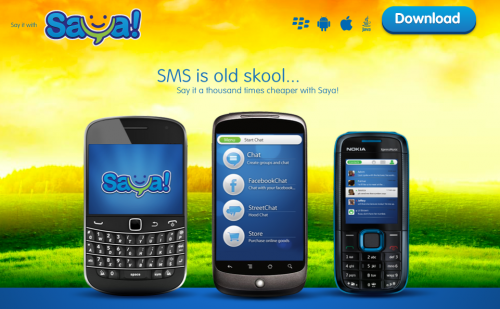 Saya isn in a tough position, trying to get US and European-based investors to think that anything to do with old tech like SMS can be big is quite difficult. Their paradigm is set in the West’s way of thinking about being intoxicated the newest tech, not understanding how much of the world more fully uses each technology before discarding it. Without knowing anything about how many users Saya has, I can say that it looks like an app that will really work in Africa and therefore many other parts of the world. Just looking at the app, it seems that they have a strong focus on product, and are paying attention to things like design details that really do matter. Good job guys, and good luck!